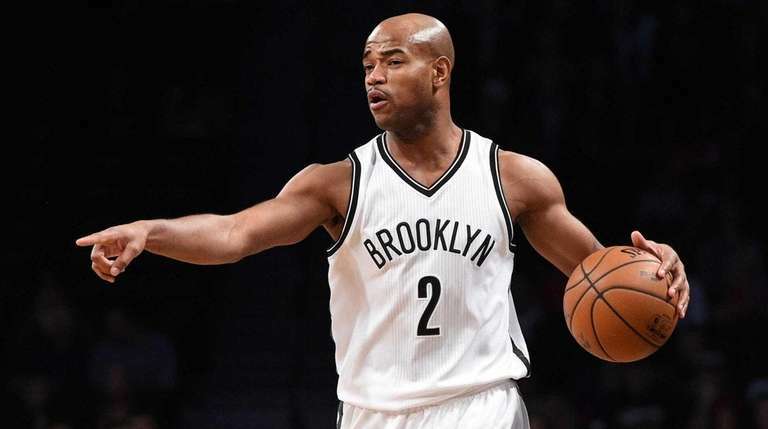 GREENBURGH, N.Y. — After missing nearly a year and a half with a leg injury, Jarrett Jack is happy to be back in the NBA and looking forward to helping Knicks rookie Frank Ntilikina any way possible. The Knicks signed Jack last week to add depth to their backcourt and experience at the point guard spot. Jack has worked out a few times with Ntilikina, the 19-year-old French point guard the Knicks took with the No. 8 pick in the draft, and has been impressed with him. “He’s a solid kid, man,” Jack said Tuesday at the Knicks’ practice facility. “Really, really can play. Really long arms, really active defensively. Great size. Just looking forward to giving him all the game that I’ve gotten over these 13 years. Jack, whose deal was not guaranteed, gives the Knicks four point guards on the roster. They also signed veteran Ramon Sessions and re-signed second-year guard Ron Baker, a favorite of coach Jeff Hornacek’s last season. It should lead to a healthy competition in training camp, which starts a week from today. Jack’s main focus is staying healthy. He has been a productive and dependable player in his career. Jack, 33, was averaging 12.8 points and 7.4 assists when he tore his left ACL in January 2016 while playing for the Nets. Jack appeared in just two games last season for the Pelicans. But Jack says the knee is fine now. He has no limitations and hasn’t had any setbacks. To that end, Jack isn’t going into camp with any expectations. He said he would play whatever role that Hornacek asks of him. Heading into free agency Jack wasn’t on the Knicks’ radar. He had a conversation with Scott Perry, but he was with the Sacramento Kings at the time. The Knicks hired Perry as general manager on July 14 and two months later he signed Jack.